Do you know what a quick response code is? Well, this is a readable barcode that can be scanned to reveal the encrypted information stored therein. 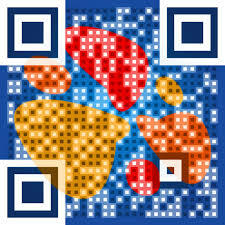 You could also use your mobile device to scan a QR code. This means you can create a QR code coupon and share it with your customers. The reason coupons are popular is because people are always on the hunt for a discount. This means if you want to start using QR codes, you could use them in coupons to give your clients special offers. This is because they can easily be tracked. You can easily tell what coupons are being used more and set your focus on them. This makes coupon management easier and more profitable. Coupons have been in use for quite some time now. You probably remember your mother clipping a bunch of coupons together every time she went shopping and keeping them in her wallet. This way she could whip out the coupons when she did her monthly shopping. Coupons are quite helpful to both the shoppers and retailers as well. For retailers, coupons help them to attract more users to visit their stores. On the other hand, shoppers are able to keep track of their shopping thus avoid overspending. The fact that QR code coupons also help users in saving time is yet another reason why more people want to use them. You have probably seen someone complain about forgetting their coupon and being asked to pay the full amount of their goods while shopping. Well, this happens quite often. However, if they had scanned their coupon at home and saved it in their phone that would have helped. If you want to have a QR code coupon and share it with your subscribers, here are a few tips on how to go about it. First and foremost, you have to insert your QR code image then a description on how you want your coupon to appear. The best part about this point is that you can scan the coupon and see what your users will be seeing too. Once that is done, enter the number of times that particular coupon can be used. If you want to promote the usage of that coupon, the best thing to do is set a higher limit for it. Lastly, do not create huge sized coupons. Small coupons have better scanning ability.